Got an idea? Well-Conducted market research will tell you if there is a need for your product/service or whether there is an opportunity to turn your idea into a successful venture. Market research is a way to identify potential customers, competition, deciding a location for your business and to find your niche. You can use that information to find a competitive edge for your business and make it stand a cut above the rest. Market research is a way to look at consumer behavior across channels and observe current trends to come up with plans to improve and tweak your business idea around the findings. It is crucial that you understand your customer base from the start. Market research is one of the best ways to reduce risks, which is why you should invest in it. Its ROI is immense. Gather information to better understand opportunities in your area of interest and also the amount of competition you face. Is there a scope for your idea in the market? What is competition? And more importantly, what are the limitations? Gather data on target customers, their age, financial status, interests, and anything that is relevant for your business. Demand: Is there a demand for your product/service? Market size: what is the potential size of the market? Interest: How many people would be interested in your product/service? Economic indicators: What is the financial status of the consumer demographic you are targeting? What is their employment rate? Location: Where are your target customers located? Saturation: How many similar businesses are operating? Competition: Are their offerings better than yours? Where does your idea stand in the competition? Pricing: What is the price point and how can you price your product/service competitively and yet stand to make a profit? You can do market research yourself or approach a market research consultant. There are many Market Research Firms in India whom you could approach. Your business plan makes the “skeleton” of your business—everything else is built around it. It is the foundation—without it starting your business would be like steering a ship without a rudder. A business plan serves as a roadmap to your business; it provides it with the structure, information on how to run, finance your business, etc. You will use this document to convince potential investors to invest in your company, or to convince people to work with you in a partnership. A well-thought-out business plan helps you run your business effectively. It will be your go-to document during business reviews and during discussions on how to grow your business. A good business plan guides you through all stages of your business—from starting, funding and managing your business. A well-researched business plan guides the organization onto a successful path and informs nearly everything the organization does. Generally, there are commonly accepted guidelines for both form and content. You could approach a business development consultant for help with your business plan. Your business location is probably one of the most important decisions you will ever make in your business journey. Whether you are setting up a traditional brick-and-mortar business or opting for an online presence, the choices you make could end up affecting your business in the long run. The way you locate your business—whether online or offline—has legal, taxation and revenue repercussions. So, choose your location wisely. The best place to locate your business must be covered in the market research stage of your business. Make sure the location you pick has a commercial permit. Consider the rental rates, minimum employment wages, and zoning laws to run your business in that particular area. You will need to register your business, get the required licenses and permits, and pay taxes in the place you choose to run your business. 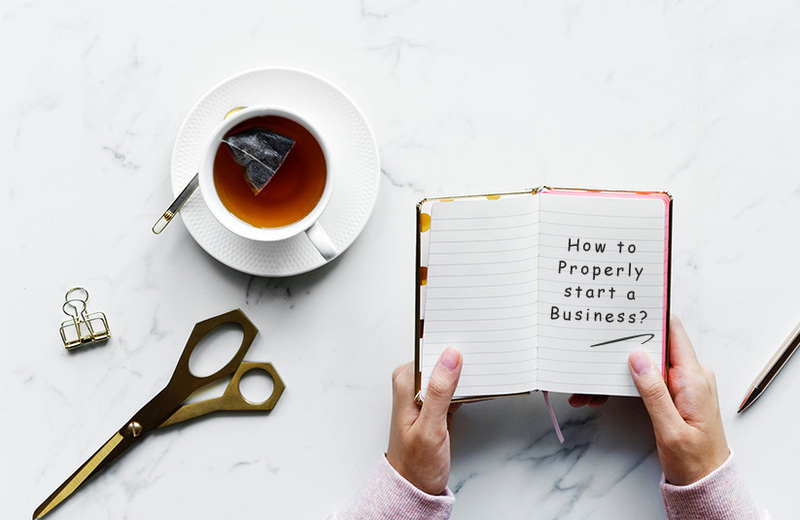 The legal structure you choose for your business will impact how much you pay in taxes, the documentation process for your business registration, and your personal liability in the business. The common business structures are Sole Proprietorship, Partnership, Limited Liability Company, Corporation, Cooperative, and Non-Profit Organization. It is not always easy to pick that perfect name for your business. Choose a name that reflects your vision and brand values. Also, make sure that your business name isn’t already being used by someone else. Once you settle on a name, register it to protect it. Once you have finalized a name, it is time to register it. The act of registering your business name makes it legal and gives you rights to operate your business under the name you have registered. Legal requirements for starting a small business could be as simple as registering your business name with the local and central government. Once you have registered, you will get your unique identification number which will help you with important steps in your business, like opening a current account and paying taxes. Get your business running smoothly by getting the required permits and licenses. Make sure that your business is legally compliant. The licenses and permits you need for your business will differ from state to state, industry and other factors. Opening a business bank account is crucial as it helps you handle legal and tax issues. Keep your business spending away from your personal spending. It is easy to open a current account if you have the registrations and paperwork ready to go. Congratulations! You are now open for business. Get that scissors out and cut the ribbon! It is time to focus on running and managing your business. Ourbusinessladder is a business development consultant and one of the top Market Research Firms in India. We are the one stop solution for existing businesses and enterprising entrepreneurs. What according to you is a proper way to start a business?